Miners operating in the Democratic Republic of Congo are pulling out the heavy artillery in their fight against the country’s new mining code which, they say, will stifle investment in the copper and cobalt-rich nation. After passing by the National Assembly in December, the code sailed through the Senate without opposition in late January and now it is just waiting to be signed into law by the president. Among its main provisions, the legal instrument would increase the royalty on base metals such as copper and cobalt to 3.5 per cent from the current 2 per cent. It would also impose a 5 per cent royalty on what the government calls “strategic metals” and a 50 per cent tax on super profits, which are defined as income realized when commodity prices rise 25 per cent above levels included in a project’s bankable-feasibility study. Once the law is ratified by Kabila, miners would have to comply with it immediately because just four days ago lawmakers also voted in favour of lifting a provision exempting licence holders of compliance with the new code for 10 years. 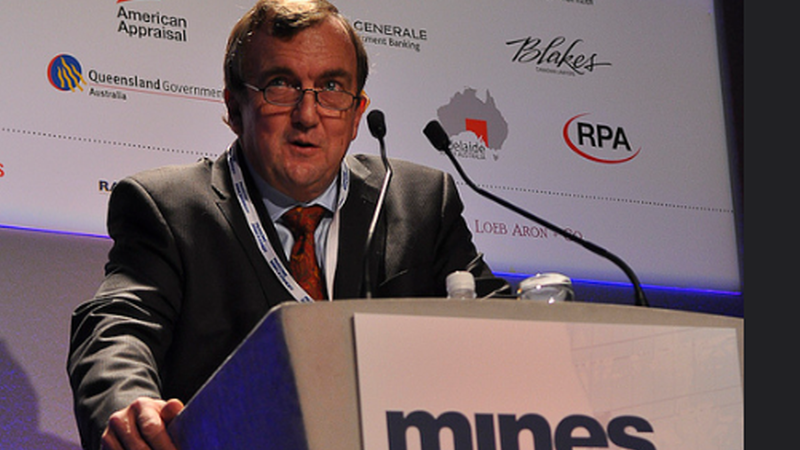 The 10-year stability clause, writes Randgold Chief Executive Mark Bristow in the media statement, was the basis on which his and other mining companies invested in the DRC in the first place. Bristow goes on with his criticism saying that when his company, in partnership with AngloGold Ashanti (JSE:ANG) (NYSE:AU), bought the project that later became the Kibali gold mine, they sought and received a formal written declaration from the government which confirmed that the provisions in the 2002 mining code would be honoured. Despite the alleged commitment, Bristow says that once changes to the legislation started to be discussed in 2014, his firm and others operating in the DRC engaged with country officials and made it clear to the Ministry of Mines that there were serious flaws in the new provisions. Randgold exec adds that it came as a surprise that none of the industry’s suggestions were taken into account. "It is therefore very disappointing to see that none of our proposals and comments are reflected in the legislation, which is, in fact, more draconian in its final form than earlier drafts,” he stated. According to Bloomberg, Glencore CEO Ivan Glasenberg also visited Kinshasa and discussed the law with President Kabila. Besides these two firms, China Molybdenum, Eurasian Resources Group, MMG and Ivanhoe Mines will immediately be subjected to the new provisions.